Siddha Group, Eastern India’s leading real estate developer, today announced a first-of-its-kind initiative, Rooftop Skyplex,at their projects with Skywalks to give Kolkatans an altogether new movie-watching experience like never before. Siddha Group has always been a pioneer in introducing new dimensions in real estate; be it the longest ever Rooftop Skywalk in the world at an affordable residential project or the Siddha homebuying App and more. Skyplex is an additional feature where Siddha homebuyers can watch movies at the open air Rooftop Skywalks in an amphitheatre setting. There was an era of the classic single screen theatres in India and then came the multiplex revolution; from enormous curtains, dark interiors, uncomfortable seats came a transition to multiplexes with modernized movie theatres, hi-tech surround dolby digital sound system, 2K projection, air-conditioners, pushback chairs and highly priced tickets. 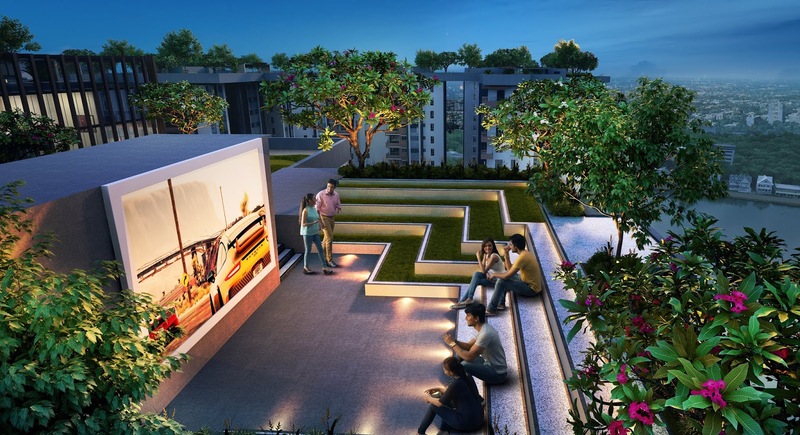 A lot of residential condominiums have introduced the concept of mini theatres at their residential clubs but Siddha Group is going a step forward and introducingRooftop Sky Theatre experience with Skyplex with modern projection technologies with hi-tech sound system at their Skywalks. Siddha will be adding this feature across their affordable Skywalk projects that include Siddha Sky at EM Bypass, Siddha Suburbia on Southern Bypass, Siddha Eden LakeVille on BT Road & Siddha Galaxia at Rajarhat. All the Skyplex are proposed to have a 2K projection and dolby digital sound system. Comfortable sit outs across the amphitheatre will provide ample seating space for the residents.